Home is where we feel safe and we all want to protect this safe space from the big bad world. Today anyone looking to give their homes the comfort of protection can easily avail the state of the art home security tech with the help of home security cameras. There are a wide plethora of products to choose from depending on one’s safety needs which will give you the best run for your money. It can be a bit daunting at first, choosing the perfect system. 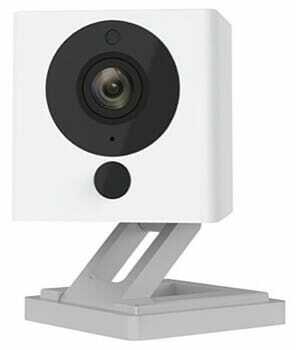 Some things you might want to look out for in the best home security camera system are camera resolution, night vision availability and clarity, cloud storage, integrated compatibility with smart home devices like Alexa or IFTTT and so on. There is one other important aspect to look for – Camera Location. There are different requirements if you want to place a camera outdoor. You need to make sure that the camera can withhold the weather like rain, snow, heat etc. 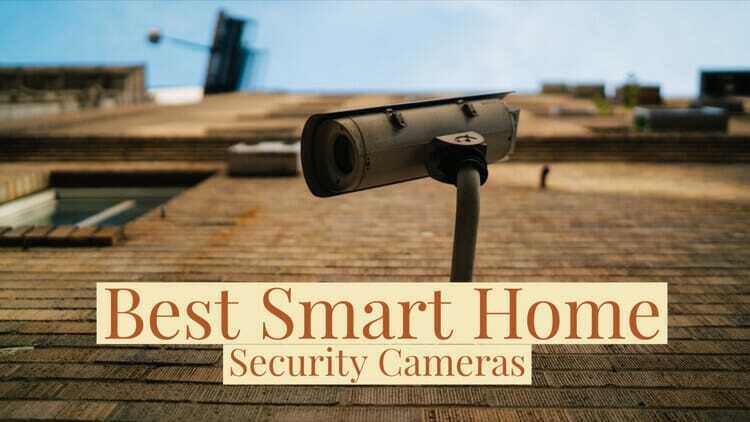 To help you circumnavigate these murky tech waters we present to you the top 10 smart and best home security camera systems suitable for every need. 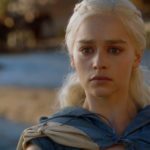 Arlo Q is extremely easy to setup and a breeze to use. This indoor unit’s video quality is top notch and its motion and noise detection are extremely accurate. Its wide 170-degree field of vision and superb night vision does not allow anything to go unnoticed. It can also record activities based on motion or sound. You can also use it to have 2-way communication with the help of an integrated microphone. 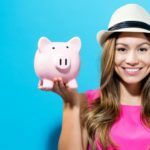 With 24/7 free cloud storage for 7 days and a very hassle free breezy experience, it is definitely worth the price tag $200. 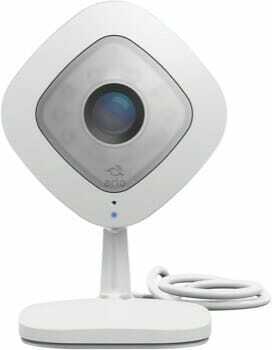 If budget is a concern, and all you need is an easy indoor home security solution then consider Y-Cam Evo. Its small form factor lets it fit anywhere. With its dedicated apps, it is incredibly easy to use and control with good customer service. 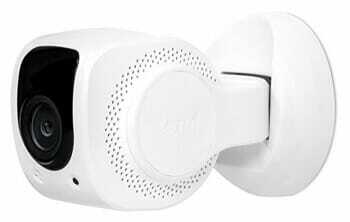 720p resolution, night vision, 100 degrees field of vision and motion and noise detector are provided along with a 7-day free cloud storage for a year. Starting at 150 USD, it is a pocket-friendly purchase. 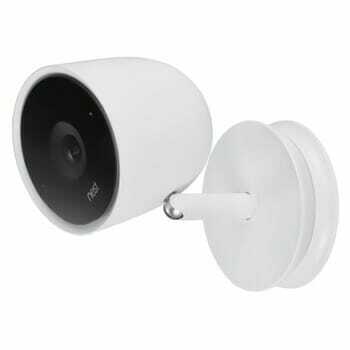 Nest Cam Outdoor is essentially a weatherproofed rugged security camera and has been widely acclaimed for its quality and services. This is one of the best home security cameras if you are planning to place it outdoors. With 1080p resolution, 130 degrees field of vision, night vision, motion and noise sensors, two-way audio and wireless connectivity it provides crisp and clear footage. It is also compatible with IFTTT technology. With a little extra fee, it provides you with its online feature of identifying humans in a triggered alert. Priced at 200 USD and increasing, it is a very attractive deal. It comes with a Nest aware feature where it will record the footage if he sees any human activity. 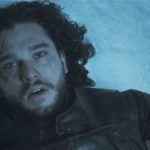 Many users have complained that it delays the recording in those scenarios, especially if the movement is very fast. So if you are not relying on that feature, it’s a good security camera for outdoors. This is a great example of how small sizes can also mean loads of features. One of the smallest devices in this genre, it comes with the standard features like 1080p resolution at 30 fps, motion triggered notifications, night vision and app control along with free 7 days of cloud storage. However, its price and facial recognition ability blow away all its competitors in its price bracket. Costing simply 60 USD it will leave you completely satisfied with its value for money. Now, this is what you call a jack of all trades. This good boy will offer you a great sense of security with its 1080p video stream, clear night vision up to 25 feet, 130 degrees field of vision with the cloud as well as local storage options. 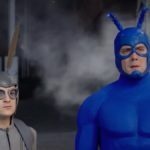 It includes smart noise and motion detection, dedicated Android and iOS apps along with its website to control it and a powerful alarm system to ward off intruders. It is incredibly easy to install and use and has compatibility with smart devices like Alexa or IFTTT services. Although a little pocket heavy starting at 479 USD, it provides one with a hassle-free home security solution. Got an extremely tight pocket? No worries because this 20 USD little devil is just the answer to your worries. It offers premium features at costs 5 times lesser than usual. 1080p recording at 10 fps, motion and sound triggered notifications, night vision and seamless connectivity to your home’s Wi-Fi with its cloud and local storage make it one of the favorites in this list. With the included adhesive metal plate or magnetic base, you can mount it anywhere. The only drawback of this camera is that it does not support 5GHz WiFi network, so if you are fine with a 2.4GHz network, go ahead and give it a try. 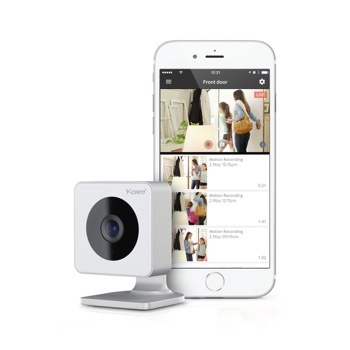 As the name suggests, it is an extremely smart camera that can work as standalone or as part of the iSmartAlarm system or with other smart home devices through IFTTT. It offers 1080p resolution, 140-degree field of vision and night vision up to 33 feet along with two-way audio, local and cloud storage, mechanical pan and tilt, motion and sound triggers and app control. It is however unique with its motion tracking feature which detects motion and also follows the moving object in the footage with its 350-degree panning mechanism. Priced at 200 USD it is quite the deal for the smart home enthusiasts. 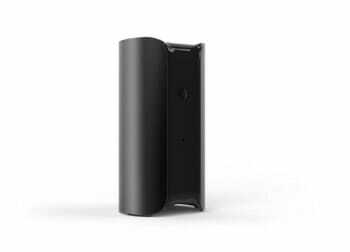 Canary raises the bar with its additional temperature, humidity, and air quality sensors along with its 1080p crisp video streaming, crisp night vision up to 25 feet, and 3x zoom. Local storage is not supported though it supports cloud subscription plans and live-streaming through the app. It lacks integration with other smart home devices but it is still a worthy contender considering its price point of 170 USD with subscription plans ranging from 50 to 300 USD annually. 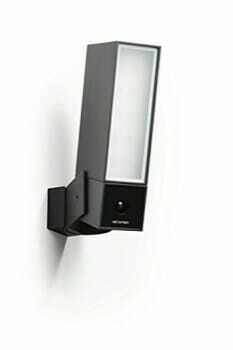 Netatmo Presence is an outdoor unit that will identify subjects in the video like people, animals or cars accurately and then perform the appropriate action decided by you. It involves a rather complicated installation. 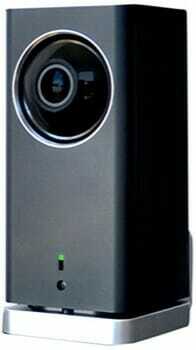 The video quality for both day and night is good and sound recording is able enough to hear conversations close to it. It has local and cloud storage available and is very compatible with other smart home devices. 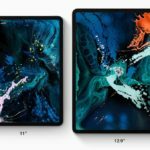 A stellar product at 300 USD. This indoor unit delivers the best Nest Cam features like 1080p recording, night vision, and 2-way audio along with motion and noise triggers and packs a whopping 8 MP 4K sensor which delivers 4K images. It boasts an extremely fast facial recognition and intelligent noise detection feature. 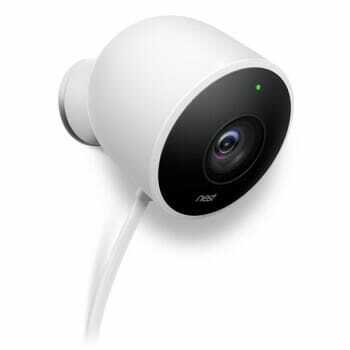 All in all, it delivers excellent video and audio quality, and everything a Nest Cam offers and more at a slightly higher price point of 300 USD. In the end, it all depends on what you want your smart security camera to achieve and how much are you willing to pay for it. Nevertheless whatever your need or budgets, you are sure to find the best home security cameras on this list which will meet your needs suitably.